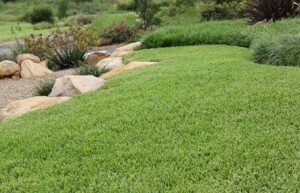 Palmetto Buffalo grass has been proven performer right around Australia for many years as a tough, low maintenance soft leaf buffalo variety. 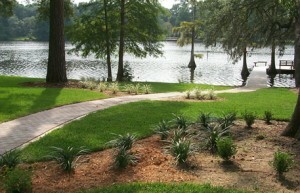 Palmetto is being used extensively on all types of residential and commercial applications with excellent results. The soft leaf and emerald green colour of Palmetto is a real feature. 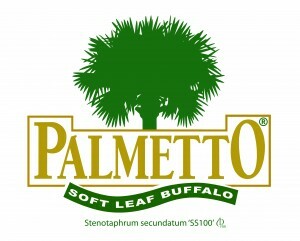 There are many reasons why palmetto has become so popular and recent research on Palmetto and other buffalo varieties have shown why Palmetto is so good. -Palmetto performs well in full sun and thrives in shaded areas provided it can get between 2-4 hours direct sunlight per day. 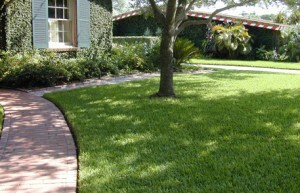 -Once established Palmetto has very good drought tolerance and is a very efficient water user. Its deep root system, allows it to retain moisture for longer through dry periods and stay lush green through the summer months. -Palmetto is fast becoming the favourite choice for Landscaper specifiers, contractors and home gardeners for all these reasons and more. 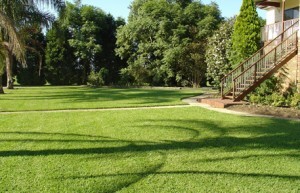 It provides a great looking lawn with minimal fuss.